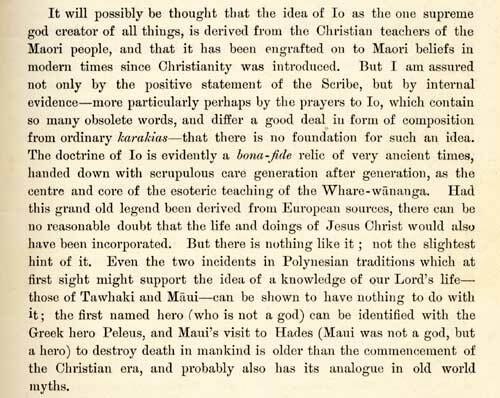 In this extract from The lore of the whare-wananga (1913), ethnologist S. Percy Smith dismisses suggestions that Māori traditions about Io, the supreme being, were derived from Christian teachings, and emphasises that their origins are ancient. Reference: The lore of the whare wananga, part 1. New Plymouth: T. Avery, 1913, p. vii.